Victoria, BC – For the first time in program history, Canadian Sport Institute Pacific (CSI Pacific), in partnership with Cycling Canada, announced a Cycling NextGen roster made entirely of cross-country mountain bike athletes. These riders are set to train in Victoria this season, starting this coming weekend. Victoria’s Cycling NextGen program will bring together 10 of Canada’s top young cross-country mountain bike riders and will be led by Cycling NextGen Coach and CSI Pacific staff member Jeff Ain. “These are exciting times for our NextGen programs, as all of them are reaching maturity, and already producing international performances. Cycling Canada made a strategic shift in creating NextGen programs that each specialize in specific Olympic and Paralympic Cycling disciplines,” explained Cycling Canada High Performance Director & Head Coach Jacques Landry. The 2016-17 season will bring significant changes to all four of the NextGen Cycling programs, spread across the country in Victoria, Milton, Ontario, and Bromont, Quebec. For the first time, each NextGen program will target a specific cycling discipline, as opposed to all disciplines, which had been the case in previous years. The Cycling NextGen program was created to support the implementation of Cycling Canada’s high performance development system to ensure athletes and coaches are being trained to standards required to win Olympic, Paralympic and World Championship medals in the sport of cycling. Athletes are provided the fundamental support to further their athletic goals, which will include sport-specific coaching and facility access, as well as expert sport medicine and sport science services. The program is delivered in partnership between Own The Podium, Cycling Canada, Cycling BC, the Province of British Columbia, and CSI Pacific. The changes made to Victoria’s Cycling NextGen program are in no small part due to the success riders from Victoria had last season, both nationally and internationally. Returning rider Erin Attwell is coming off a highlight-filled 2015-16 campaign that saw her set three Canadian records and win five medals at the Canadian Junior Track Championships, as well as win the Junior Women’s race at the Canadian Road Championships. 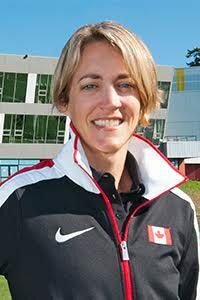 She also represented Canada in world championships for both road and track cycling. A native of Victoria, Attwell will be the lone athlete in the program to compete outside of mountain biking as she completes her final year of high school in her hometown. Emily Handford and Sidney McGill will also be back after having strong seasons that saw them both selected to compete at the Cross-Country Mountain Bike World Championships. Program graduate Gillian Ellsay has signed a pro contract with Colavita/Bianchi and will compete primarily on the USA Pro Road Tour for this upcoming season, while John Willcox has transitioned to the Track Cycling NextGen program in Milton. Victoria’s 2016-17 NextGen cyclists will gather for the first time at the Pacific Institute For Sport Excellence (PISE) from November 25-27 as the group goes through baseline testing and program introductions.